Hundreds of thousands of people have profited from the wisdom and savvy of "Lead the Field". In fact, it has often been referred to as the "Program of Presidents" because so many top executives have incorporated Earl's guidance and wisdom into their management philosophies. When you listen to this landmark program you'll be awestruck by the simplicity and timelessness of Earl's words and ideas. It helps you: double your mental capability; recognize and easily overcome the biggest stumbling block to high achievement; dramatically improve your luck by changing one simple thing; make success unavoidable with an easy 3-minute-a-day exercise; and assess your potential worth, and start increasing it now. 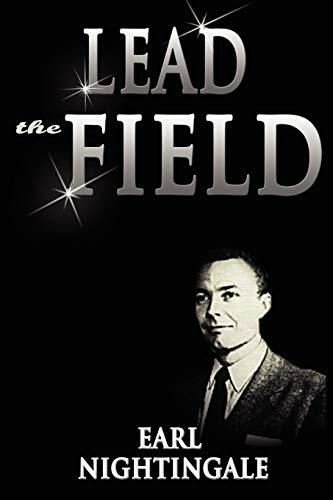 "Lead the Field" has arguably changed more lives and created more millionaires than any other program Nightingale-Conant has produced. Order it today, and start moving into the top 5 per cent of the world's earners! !